Pro Exteriors prides itself in being a top-quality professional with a reputation for installing, replacing, repairing, and maintaining roofing systems for both residential and commercial properties. We know too well that any roofing replacement is only as good as the contractor who does the job, so we go all out to ensure it is done right the first time. Here at Pro Exteriors, we’re all about setting high standards and providing the greatest value to our customers time and time again. This is by far one of the most popular roofing options in America. It is lightweight and easy to install, compared to other materials, which means a faster replacement process. Pro Exteriors offers an array of asphalt shingle styles and colors that can perfectly match your building’s architecture. When installed properly, a slate roof boasts a life expectancy of between 75 and 200 years. It is also naturally fire-resistant and virtually low-maintenance. We’ve been successfully installing slate roofs for years, and we leverage that experience to provide you with a beautiful and long-lasting roofing system. Metal roofing is fast becoming the top choice among architects and homeowners alike, thanks to its many excellent qualities, such as energy efficiency, durability and unique,rugged appeal. In addition, latest advancements in paint and coating technology have helped eliminate any concerns about rust and corrosion. One of the oldest roofing materials on the market today, wood provides a natural, charming aesthetic that can redefine the curb appeal of any building. Wood roofs are highly resistant to strong winds and offer up to two times more insulation than asphalt shingles. No matter what you choose, Pro Exteriors has the necessary expertise and experience to get the job done to your utmost satisfaction. Our commitment to exceptional roof replacement in Easton, MD and nearby areas have allowed us to earn industry-leading certifications, such as GAF® Master Elite, GAF Green Roofer, CertainTeed® Master Craftsman, and Velux® 3 Star Installer. 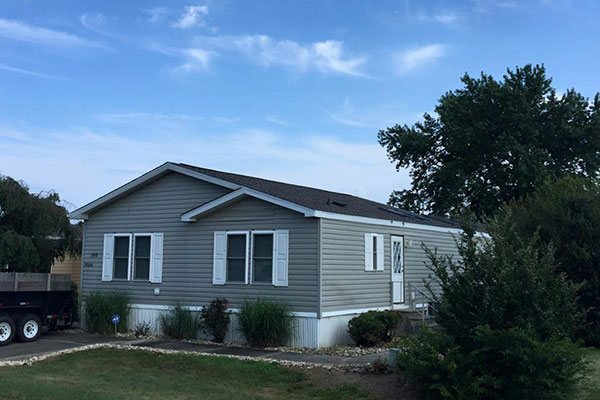 Let Pro Exteriors work with you on your roof replacement in Milton, DE and in other areas we serve nearby. We offer flexible financing options, so you can go on and start right away. Call us at (302) 664-1700 or fill out our Request Form, for a FREE estimate.